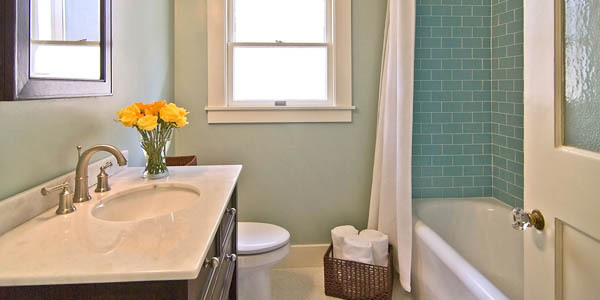 The bathroom is one of the most used rooms in the house, but have you ever wished that its layout was different? Maybe you’d like a bigger shower, a double sink, or more cabinets. Whatever your bathroom dream may be, we are the experts who aim to make your vision come to life. We know that what surrounds your plumbing is every bit as important as the pipes themselves, making Complete Plumbing & Rooter your one-stop shop for your entire bathroom remodel project. Taking care of much more than just your plumbing, our years of experience qualify us to be the experts you can trust to handle all of your bathroom remodeling needs. From re-tiling your floors to installing fiberglass showers and tubs, our goal is to provide you with endless options to transform your bathroom. Listening to your needs, we work with you individually to ensure that your bathroom remodel is everything you have always dreamed. Keeping your vision in mind, we are committed to providing you with an effective and high-quality remodel that you love. Our goal is to provide you with quality craftsmanship you can trust, from experts that you can rely on from start to finish. If you dream it, chances are, we can do it. Remodel your bathroom with the experts. For your free estimate, contact Complete Plumbing & Rooter today.